Everything is better with Nutella. Am I right? 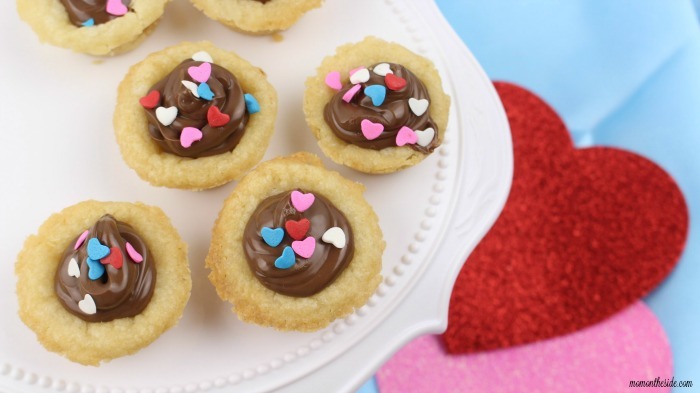 These Nutella Sugar Cookie Cups make a great Valentine’s Day Dessert, or you could switch up the sprinkles and make them delicious for any occasion! 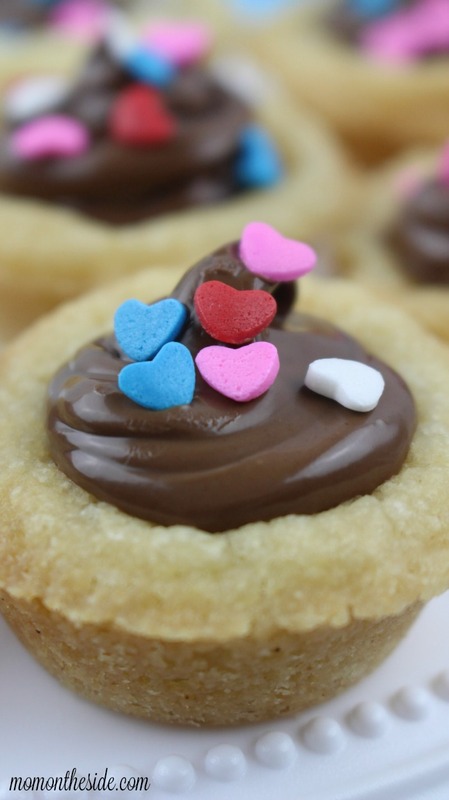 Three ingredients and about 40 minutes, are all you need to make these Sugar Cookie Cups filled with Nutella! First, preheat the oven to 350° and spray a mini-muffin pan with a nonstick coating. Then, place an individual sugar cookie dough piece into each muffin pan, and bake for 12 minutes. When they are done, place the muffin pan on a wire rack to cool for 20 minutes. Next, gently pop the cookie cups out of each muffin mold and place them on the parchment paper lined cookie sheet. Now, spoon the entire jar of Nutella into a disposable frosting bag or a gallon Ziploc bag and cut the corner tip off. 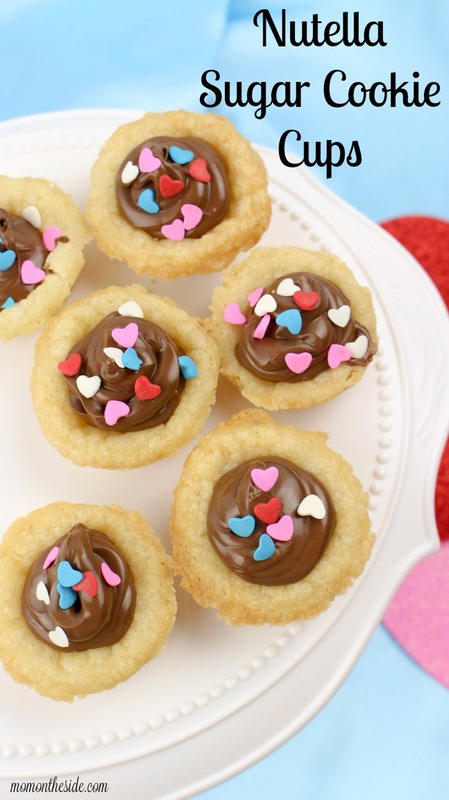 Pipe the hazelnut spread into each cookie cup and sprinkle with the heart confetti sprinkles. 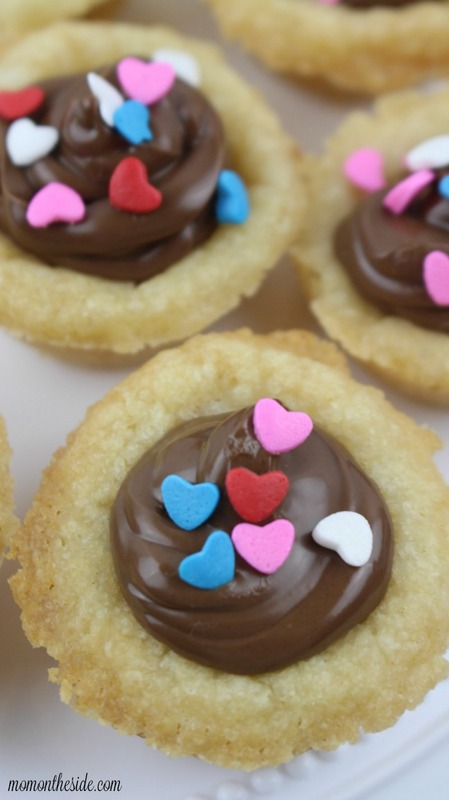 You can store these Nutella Sugar Cookie Cups in a single layer, in an airtight container, for up to 3 days. Want more Valentine’s Day fun? 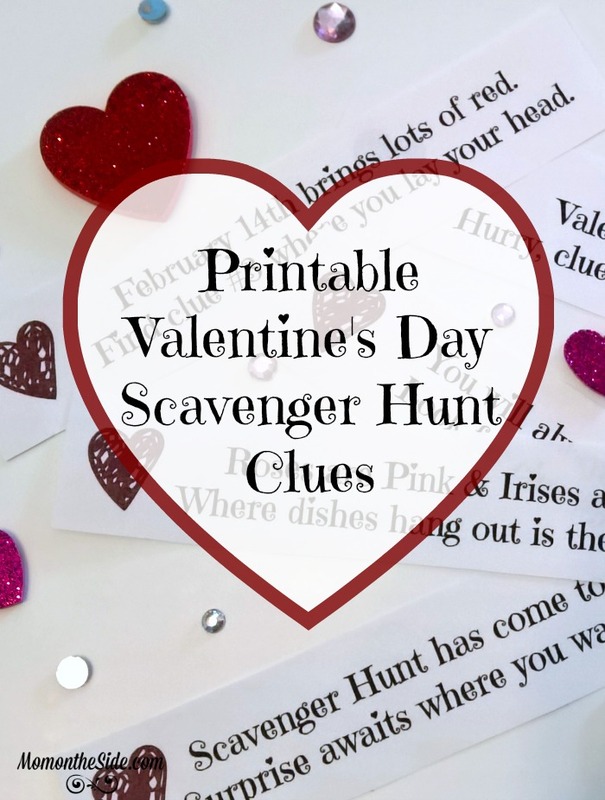 Grab this printable Valentine’s Day Scavenger Hunt!